In some cases I like to add a signature to an email or encrypt it to be sure the information is only useful for the person I am sending the email to. On my Mac I'm using Mail with GPGMail to handle all my encryption stuff with email. The index and search functionality is nice in Mail and it handles my big email accounts very well. 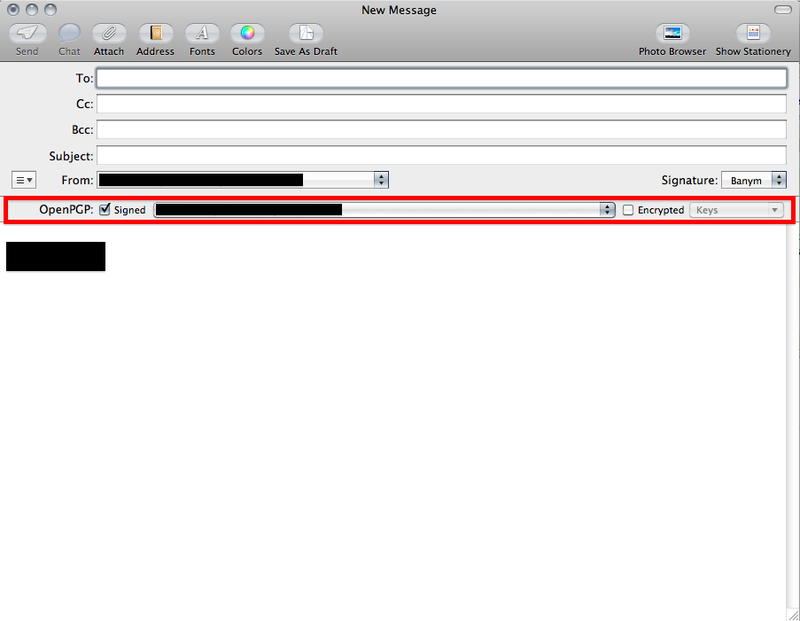 By default there is no encryption functionality included in mail this is why I need to add the GPGMail plugin to it. Just run the installer and add the plugin into your Mail and have fun. It's brings some nice features like search functionality for the public key of your communication partner. Just try it maybe it's what you're looking for. After the installation and restarting Mail you should see this new toolbar if you compose a new email. The installer should have installed you GPG Keychain as well for managing your GPG Keys.